Fr. Sean Hogan Scholarships has raised $ 7,310 from 61 gifts! 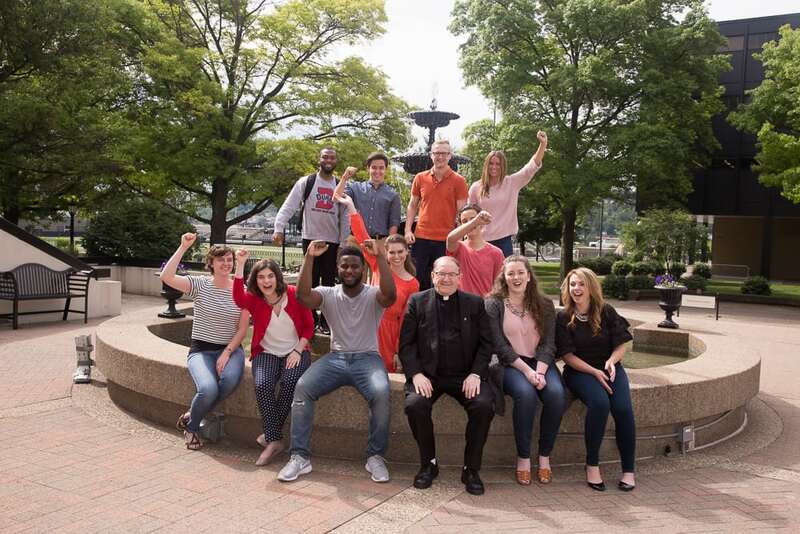 Father Hogan has various scholarships that assist Duquesne Students through various stages of their education. The Sean M. Hogan, C.S.Sp. Endowed Scholarship Fund, founded by friends and family of Father Hogan, is designed to help all students currently enrolled at Duquesne University with financial assistance. The Duquesne University Scholarship Association Endowed Fund was created by Father Hogan in his new role as President of the association. This scholarship is intended to help enrolled students with financial assistance. The Duquesne University Scholarship Association International Endowed Fund was created by Father Hogan in his new role as President of the association and to commemorate his past role as the founding father of Duquesne’s International Program. This fund assists enrolled international students with financial assistance. 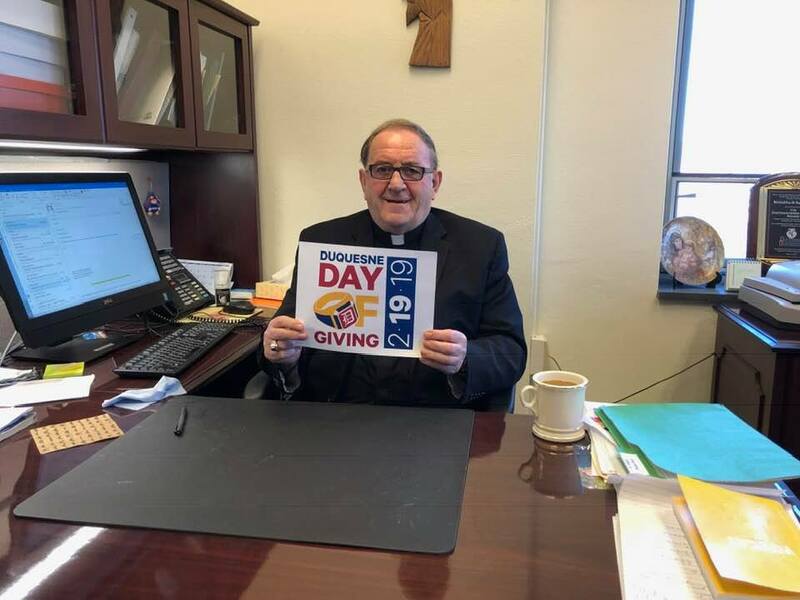 An additional way to make a major impact on the Duquesne Day of Giving is to help us spread the word via social media, e-mail, text message, word of mouth! Share this address www.duq.edu/dayofgiving with the hashtag #DUQDayofGiving and encourage your family and friends to make a donation. Go Dukes!